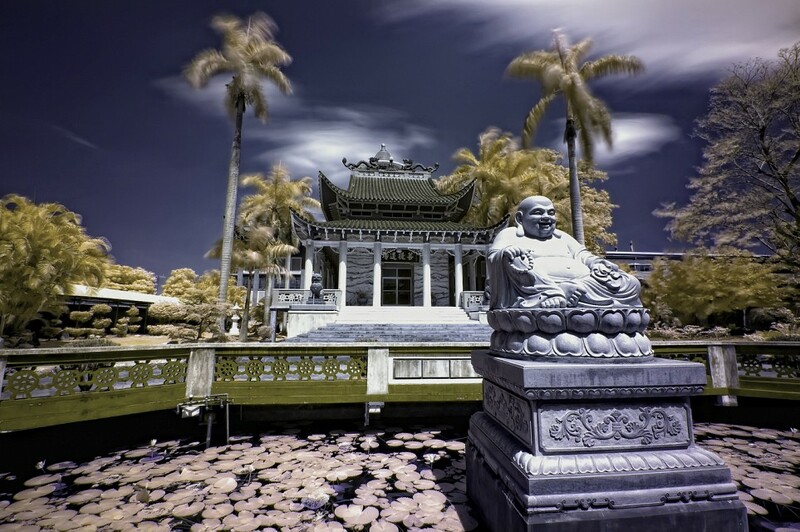 Though a gem only discovered by Westerners in the 16th century, Davao had already been a civilized region before Spanish colonization with a large Muslim population enjoying the serenity of the archipelago’s southern islands. 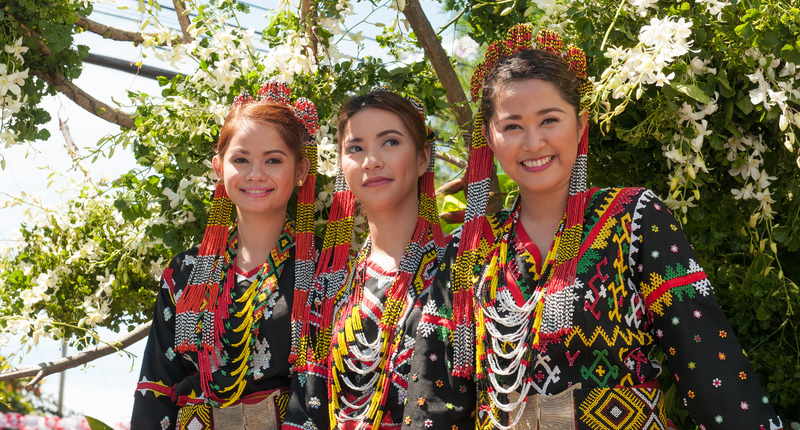 On the banks of Davao River itself, people from the Obo, Clatta, and Tagabawa tribes had lived in adjacent villages along the banks of the waterway, emptying into Davao Gulf forming their multicultural communities. In 1848, José Cruz de Uyanguren ventured to the area now known as Bolton Riverside despite being ignored and lacking the support of the government in Manila. The explorer then was met by some resistance from Datu Bago whose forces he was eventually able to overcome with the help of Mandaya chieftain, Daupan. In that area, Cruz de Uyanguren was able to establish a settlement until Manila forced him out of his position, replacing him with Marquis de Solana. Davao hadn't progressed much under the Spanish rule, but when Japanese entrepreneur, Kichisaburo Ohta came, it was when Davao's resources were put to most use. Industry was increased and money made its way to the system, fueling the local economy. Plantations were developed and trade was improved. Today, Davao is the gateway to the southern Philippine islands. 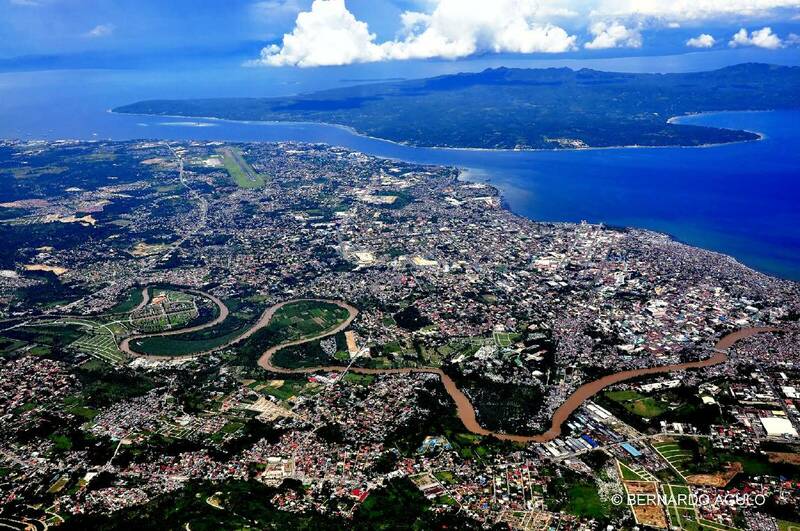 A city of over 1.4 million people, Davao succeeds in being itself as a gem amidst trouble brewing in surrounding regions. 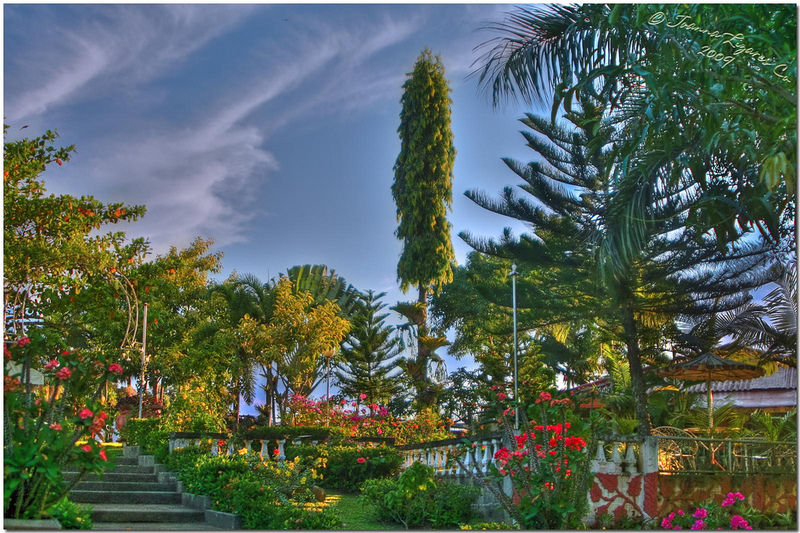 Despite the hesitation of some tourists to visit because of war in neighboring provinces, Davao remains an interesting spot for brave souls because of its natural allure from the islands to the highlands. 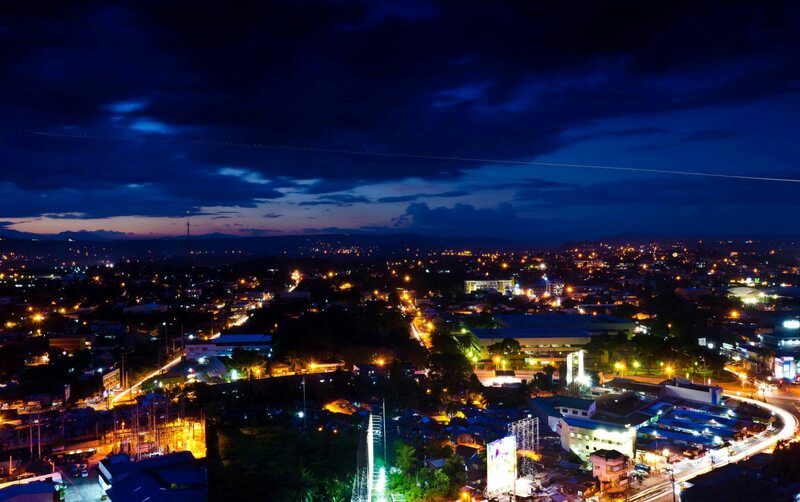 Davao City is the Philippines' largest municipality in terms of land area. Rivaled only in size by Palawan's Puerto Princesa, the city is home to the Philippine Eagle sanctuary, the Crocodile Park, and the best tasting durian, suha (pomelo), and mangosteen. 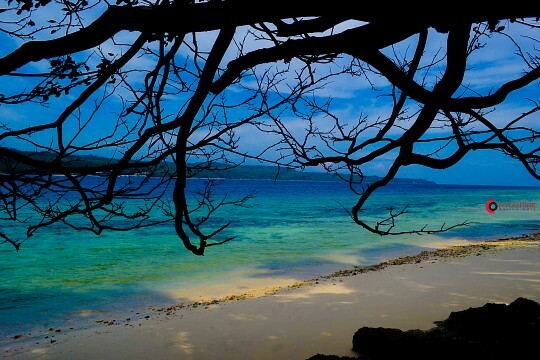 Off its coast lie two beautiful and barely touched islands, Samal and Talicud. On the border it shares with Cotabato sits the country's highest peak, Mount Apo. Davao is so huge that people can feel the drop in temperature as they travel farther from the city center and yet still be within the city limits. They can go up the hilly and chilly slopes of Marahan and still be in Davao City. 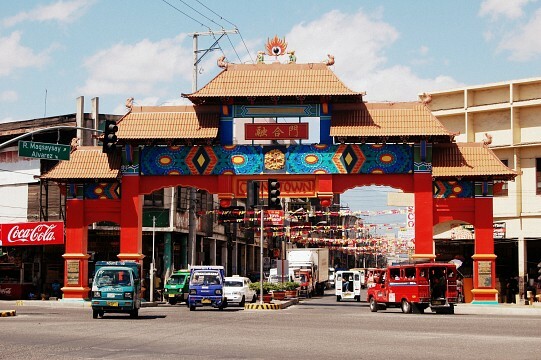 What's to be loved about Davao is its laid-back atmosphere. It's not so much lacking in modern conveniences so there's no need to fret when one suddenly feels the urge to run out and buy a can of Bud or a tub of ice cream. (Although of course, the preferred ice cold beer here is San Miguel Beer or Red Horse.) The cost of living is still relatively low, and crime rate is under control thanks to government priorities. The city is not pretentious although it is accommodating to new brands and modernities. 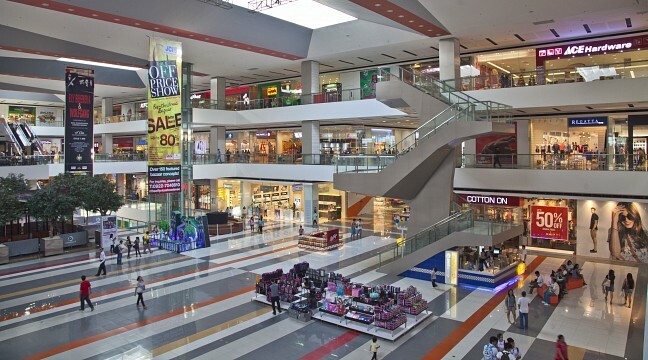 There are six malls in Davao City, two of which are big names known across the Philippines. There is also a considerable population of expats who have managed to inject parts of their culture, especially in culinary options. The Philippines’ highest peak, Mount Apo sits on boundary of Cotabato and Davao City. It has an elevation of 9,692 feet above sea level, and is believed to be either named after “Apong”, a nobleman killed in a battle for the hand of his daughter, or the word 'apo' meaning “master” or “grandfather” in the Filipino language. Plenty of Filipino hikers make it their goal to scale the country’s highest peak at least once in their lives. The climb, much like other climbs, entail a level of risk but it is actually doable and has been accomplished by a handful of mountaineers. 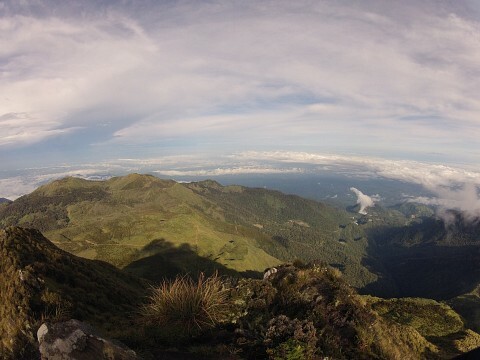 To say the least, it is actually possible to climb Mount Apo, even if one is a first-time hiker. If a courtesy call to Mount Apo is not part of the itinerary, some tourists just enjoy snapping up shots of the attraction from afar. Mount Apo is not known to be shy, so it’s mostly visible almost throughout the year. From the neighboring Samal Island, one can capture a romantic shot of Mount Apo’s silhouette against the sunset. Because Davao is a city of abundance, it is just but apt that citizens of this municipality celebrate the bountiful gifts of nature. 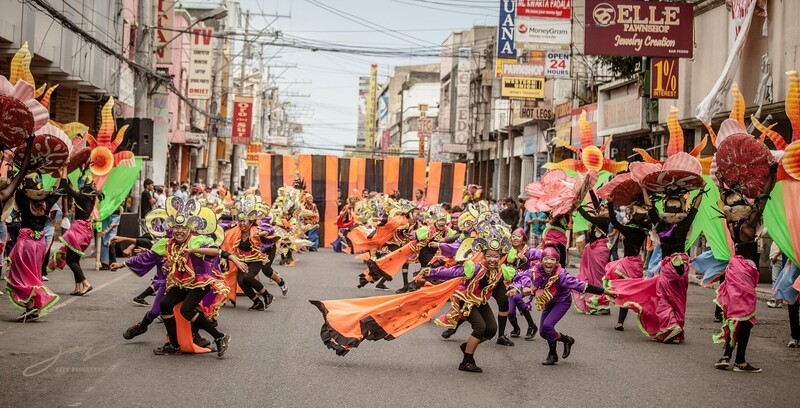 For this, Davaoeños celebrate the Kadayawan Festival . Hosted every August, Kadayawan Festival gives way to colorfully adorned streets and trucks of fruits, like durian, mangosteen, or suha (pomelo), lining the roads. The celebration is usually week-long and features a pageant, some exhibits, and days when there is dancing on the streets. Performers from the tribes of Davao come out in colorful costumes dancing to the beats of their tribal music, entertaining locals and tourists a like. It is also common that fruits in the city are at the cheapest and sweetest during these times. They're usually ₱60 ($1.32) per kilo,durian could go for as cheap as ₱25 ($0.55) per kilo. This splash of color and flurry of activity is prime time for photographers to snap away. If the schedule won’t permit seeing the previous two in real life, then it’s probably best to at least try this third sightseeing destination in Davao City. 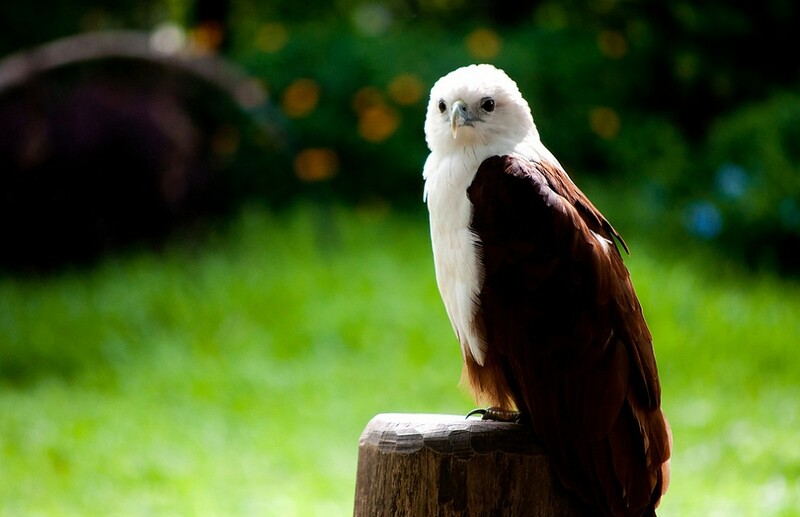 Home to a family of one of the world’s largest birds of prey, the Philippine Eagle Center provides shelter and care to the Philippine Eagle and a handful of other wildlife species such as owls, fowls, and some monkeys. 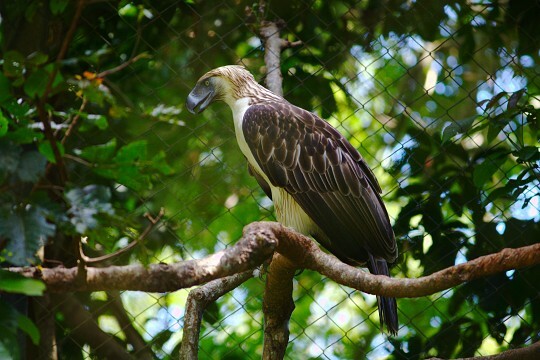 Nature photographers would spend their time in the park trying to time a shot of the Philippine Eagle taking flight, showing off that massive wingspan. 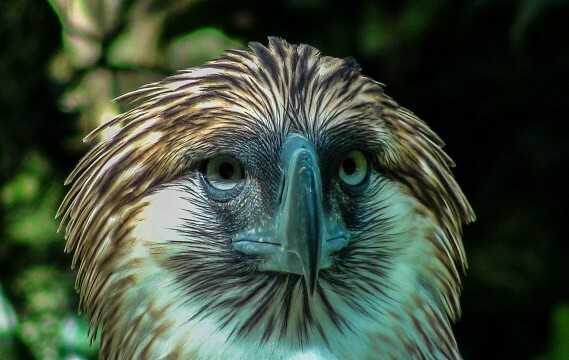 Cheapskates would flock to the center to get in for free on Philippine Eagle Week, which is usually from June 4th to 10th. This seems to work for the center because it does drive traffic in for them and people would actually use the money they saved from the free entrance to buy souvenirs from which proceeds are used for the funding the upkeep of the park and care for the animals in the park. The entrance fee on regular days is ₱50 ($1.10). 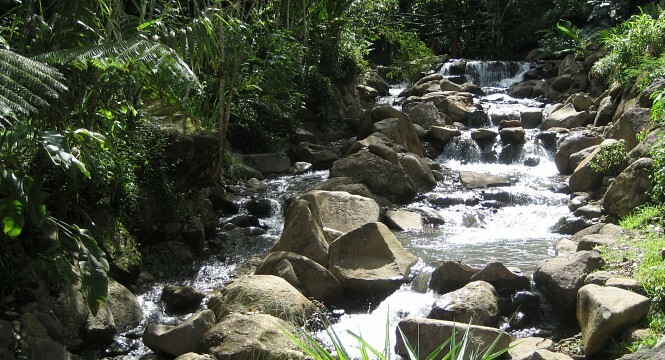 Another gem of nature in Davao is Eden Nature Park. 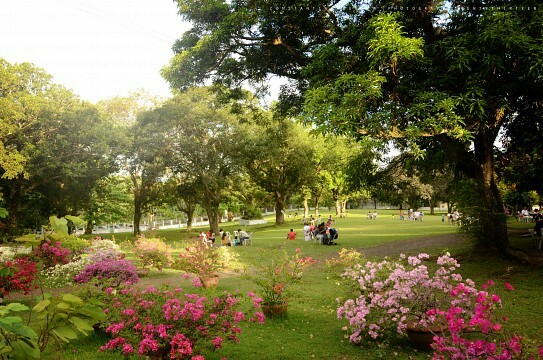 Also located in the highlands of the city, Eden Nature Park provides the city dwellers space for quiet respite. Far from the busy city streets, the park offers different activities for visitors from more extreme options like the zip-lining or riding the Skycycle, to more low-key fun; like touring Lola’s Garden and fishing for tilapia. Forget about the rented van, travel there local-style by taking a passenger jeep to Toril , and getting off at “Mercury Drug Toril”. From there, take a habal-habal, or the local version of a sidecar, and ask to be dropped off at the park. Pay the driver ₱150 ($3.30). This is actually much cheaper than hiring a cab, about ₱500 ($11). Entrance to the park costs ₱200 ($4.40) for adults and ₱170 ($3.74) for children below 12 years of age. This comes with a snack and a drink. If visiting for a full day, visitors can pay ₱500 ($11) and eat at the lunch buffet. Children pay ₱330 ($7.26) for this option. Aside from enjoying the mountain breeze in the three sightseeing destinations, tourists can also take a dip in the clear waters of Davao Gulf and head off for the two islands off the coast of the city. Enjoying the area is possible in a number of ways. 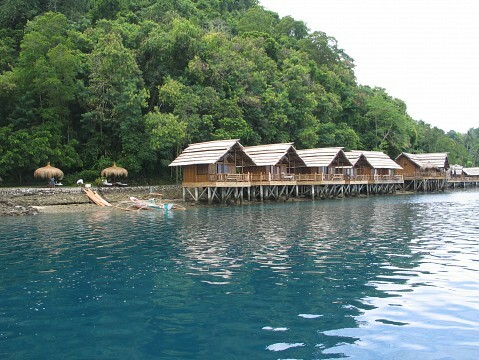 For about ₱5,000 ($110), tourists can rent a boat and go island hopping between the two islands. Not many people know that this is possible so when in the area, grab the opportunity to enjoy a quiet day out in the water and lounge on the makeshift sundeck of a bangka after feasting on freshly caught seafood prepared as a local delicacy. Tour providers may also hook you up with snorkeling or diving gear to give you a chance to enjoy the underwater charm of Davao. Another option is to spend a day by the beach at the many resorts of Samal Island, the most famous of which is Paradise Island. Take note though that “fame” in this sense is being a local favorite. The resort has been a go-to destination for families of Davaoeños being one of the first best-developed resorts on the island. For a fee of ₱200 ($4.40), visitors can spend a day at the park and beach resort, and also avail of a ₱50 ($1.10) consumable food coupon. For the more adventurous, there is Maxima Aqua Fun where the main attraction is the one-of-a-kind water slide that drops visitors into the sea. Of course there are lifeguards at the drop-off just in case something goes wrong. Because tourism is a source of income for the city, there is no surprise that there is an abundance of shops selling souvenirs, food and other items. For clothes, textiles, and other goods with native designs, the best stop to shop at would be Aldevinco Shopping Center. Located on the corner of Roxas Avenue and C0 feet Recto (more locally referred to as “Claveria”), and just in front of Marco Polo Hotel and Ateneo de Davao University, Aldevinco is the place to go for batik printed bags, pants and blouses, pearl accessories and Muslim-inspired ornaments. For fresh fruits and food which can be packaged and shipped or checked in for transport, there are a number of stops to visit which includes Magsaysay Fruit Vendors Association, Madrazo Fruit Stand, and Bangkerohan Market. Magsaysay Fruit Vendors Association is a line of stores more popularly known for its supply of durian and located just outside Chinatown, and beside Magsaysay Park. The stalls here have tables and chairs ready to accommodate visitors who wish to eat durian on the spot. Madrazo Fruits Stand, on the other hand, is located along C. Bangoy Street (more commonly known as Ponciano) and is where mangosteen and suha (pomelo) are sold. This is actually a smaller huddle of stores but its convenience in terms of location makes it a frequent and easy stop for second to the last minute purchasing of fruits to be brought home. However, for the cheapest market finds, Bangkerohan Market along Quirino Avenue is the place to go. Domestic tourists looking to take home fresh seafood and fruits can find them at this wet market at the low prices. When it's time to escape the heat, many people head for the big, cold, concrete shelters of the malls. The most famous of which are SM City Davao, SM Lanang Premier, and Abreeza Mall. The oldest of the three, SM City Davao is located in a once-green and vacant lot of grass in Ecoland Subdivision, in the middle of Ecoland Drive, Tulip Drive, and Quimpo Boulevard. It is also the first SM Mall in Davao City. Here, brands like Nike, Etude House, Skinfood, and Krispy Kreme have set up their establishment. On the other side of town, the two newer malls, Abreeza Mall and SM Lanang Premier, were constructed to cater to the more affluent residents of Davao City. Located near posh, exclusive village, Ladislawa Garden Village, Abreeza Mall is the first mall constructed by one of the country's premier properties developer, Ayala Land Inc. The mall was able to bring in big brands in food and dining like T.G.I. Friday's, Bread Talk, and Starbucks Coffee. The new kid in town, SM Lanang Premier is just a few kilometers from Abreeza Mall. As its brand implies, the mall seeks to be a more high-end version of sister mall, SM City Davao. That is why tourists who are homesick could drop by stores like Aeropostale, Cotton On, ALDO, Starbucks Coffee, Esprit, and Krispy Kreme. One does not go hungry in Davao City. It is simply impossible. For ₱75 ($1.65), people with big appetites can get their fill at Blue Carabao Diner located along the Sta. Ana Wharf end of Monteverde Avenue. Though a bit hidden from mass traffic, this small dinner has its share of lunchtime traffic, especially from the private and public offices in the area. On the other hand, those craving barbecue chicken can head off for Penong’s and enjoy unlimited servings of rice. This restaurant is everywhere, but do watch out for lunchtime traffic because it can get quite packed. For a more local dish, tourists can pay a visit to Luz Kinilaw on the Magsaysay Park end of Quimpo Boulevard and enjoy their famous kinilaw, or seafood cured in vinegar. A gastronomic trip to Davao without trying the famed local favorite is one that is incomplete! Otherwise, there are many other familiar names like McDonald’s or KFC, or even 5-star hotel food for those who want to be on the “safe side” when dining in a foreign country. In terms of lodging, the same approach may be taken as with looking for grub. Davao City is littered with different hotels and inns across different price ranges. For those looking for luxury, there’s always the option of staying at world-class hotel Marco Polo Davao and pay around $ 95 USD per night for a Deluxe Room. And then there is also Seda Abreeza, a new high-class hotel that’s just outside the shopping mall Abreeza, that charges ₱3,650 ($80) for a night’s stay at their own Deluxe Rooms. Low-budget inns line the busy streets of Davao City, so they’re not really hard to get by and rooms cost between ₱800 ($18) to ₱1,800 ($40). Some of these inns are Viajeros Economy Inn, Hari Royale Suites, and Sampaguita Inn. But for those looking to commune with nature, perhaps booking a room at Eden Nature Park is the best option because most of their cottages are far apart, giving guests some privacy and a lot of breathing room. 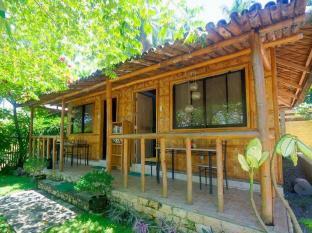 Wake up to the cool morning breeze and keep it natural by sleeping to the scent of fresh air at this highland resort. For a sunny morning, choose to stay at Paradise Island Park and Beach resort, and be lulled by the soft sounds of the waves meeting with the shore. The more high-end market could hire a jetty and be brought to the exclusive Pearl Farm Beach Resort. Spend a night in paradise, enjoying an up-close view of the sea by staying at a suite on stilts. But for a more exclusive retreat, book a stay at one of the resort's Malipano Villas located on adjacent Malipano Island. It's only going to set you back around ₱40,000 ($880). Commuting like the locals to get around Davao City might take some getting used to. To do so, one will have to take the most common modes of transportation in the city - passenger jeeps. These locally-constructed rides ply long routes, and are the cheapest options when needing to get from one busy hub to another. Taking the jeep can be quite an adventure and one which is recommended for those intending to stay in the city for a while. The best way to familiarize yourself with the routes is by simply hailing a jeep and asking to be dropped off until the distance is no longer comfortable, or you feel that you won’t be able to find your way back to the hotel. Take note of the signboard up on the jeep’s windshield for easy association of the route, the destination, and the landmarks. Minimum fare is currently ₱9 ($0.19) and may go as high as ₱45 ($0.99) for most destinations within the city limits. Without the allowance for adventure and time, it is also easy to hail a cab for private hire. Some short distance modes of transport like the tricycle and trisikad can also bring you to some places. Just hop on and tell the driver where you want to go. Fear not so much for your security because compared to the rest of the Philippines, Davao City is a relatively safe city. The mayor himself makes it a point to emphasize that crime has no place in his city and he is not afraid of muscling it out with criminals and giving them a piece of his mind. That’s how serious he is about security in Davao City and making sure that his people are safe. He has even created a local version of Rescue 911 for faster emergency response.